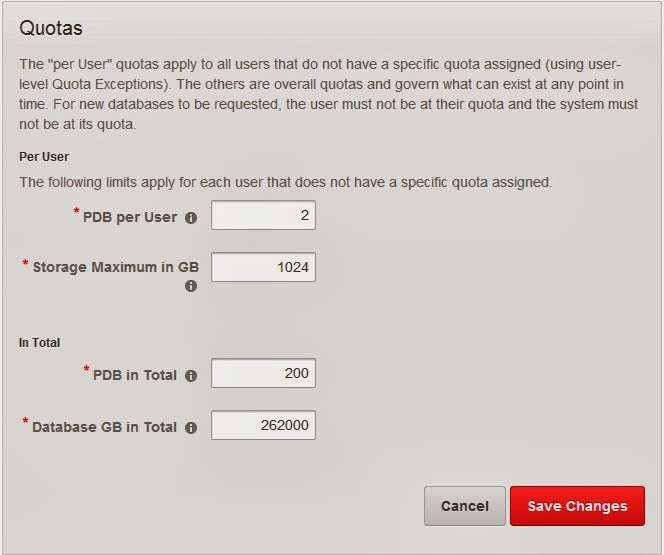 Why I try to post about Database Sizes on Oracle Multitenant Self-Service Provisioning. 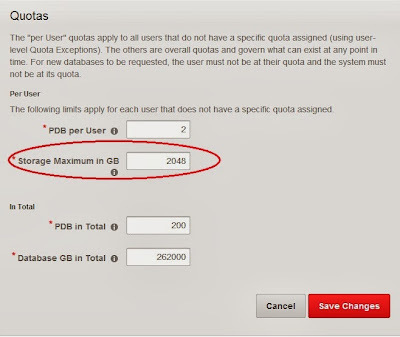 When I create New Database(PDB), I want other Maximum Storage sizes. 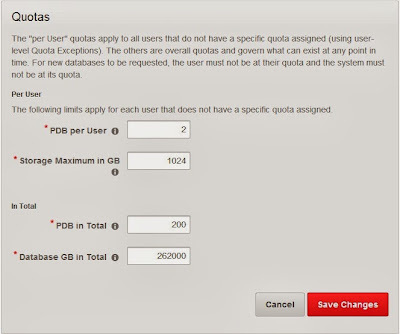 My idea is 500 GB and 2 TB... How to do? 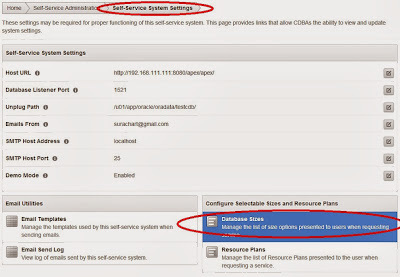 On "Self-Service Administration" - First, select "Self-Service System Configuration". 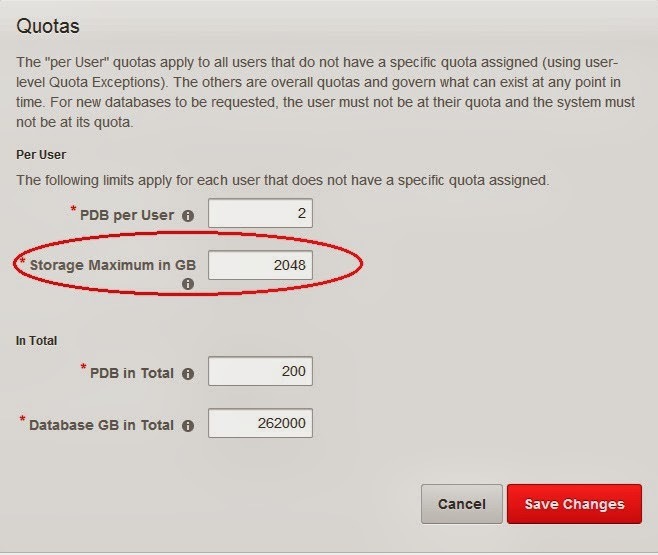 Then select "Database Sizes". Then, select "Add Size" and fill in... After "Add Size Option"... It should show new size option. Note: I added "500 GB" and "2 TB". 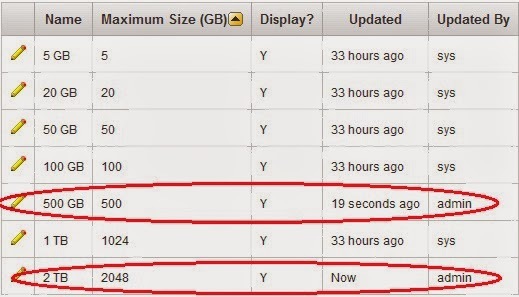 Go back to "New Database(PDB)"... It displayed "500 GB", but not display "2 TB"... Why? 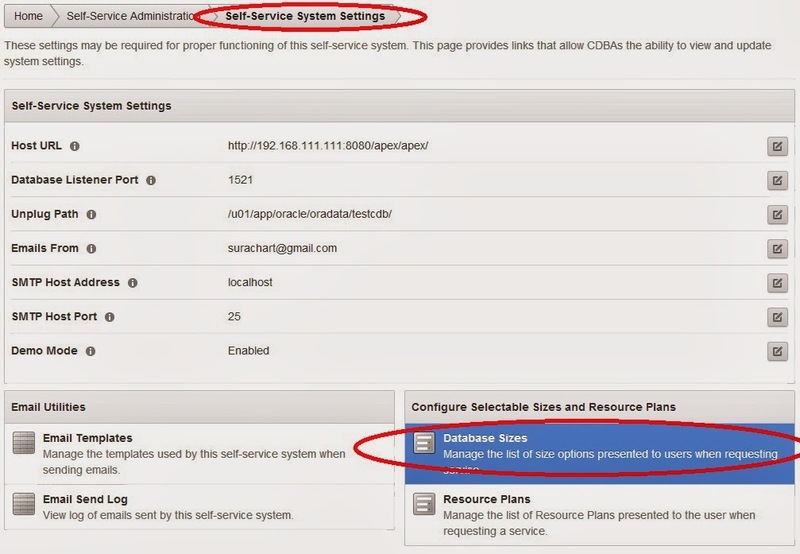 OK... Go to "Self-Service Quotas" and changed something. Changed "Storage Maximum in GB" from "1024" to "2048"
Go back to "New Database(PDB)" again! Wow! 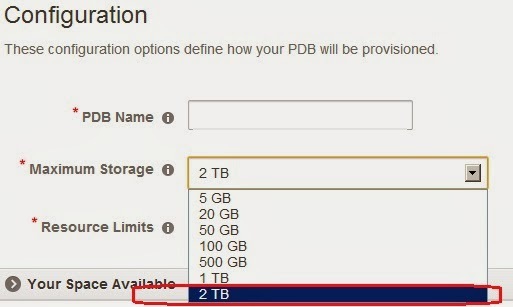 Able to choose "2 TB".